Brighton is located in East Sussex on the South East coast of England. Whether it is raining or the sun is shining you will never be short of things to do or places to visit in this historic part of the country. Brighton, once a Victorian holiday resort town and former Royal Residence has been growing in popularity ever since, and now attracts over 8 million visitor's every year, this has resulted in Brighton being one of the most exciting, vibrant, and trendiest coastal cities in the UK. Due to its ideal location, famed nightlife, shopping outlets, and amazing eateries Brighton has really emerged as a must visit tourist destination, catering for all manner of holiday makers, visiting tourists, and party goers. Brighton has two universities, a music school, and numerous colleges, making it a thriving metropolitan student city with over 30,000 full time students residing in Brighton. Brighton is also famous for having the first Green party MP Caroline Lucas, who has represented Brighton Pavillion since 2010, Furthermore is very well known for the Mods and Rockers riots in the '60s, and provided the perfect setting for Graham Greene's Brighton Rock, and the cult classic Quadrophenia. The city also hosts one of the biggest and most internationally acclaimed Gay Prides in Europe, as well as the London to Brighton mini-car run, London to Brighton bike ride, Boundary Festival, Brighton Marathon and also famously hosts 'The Lady Boys of Bangkok' from May to June each Year. Brighton has a plethora of attractions, restaurants, excursions, and bars which make it the perfect destination for any touristic interest. The West Beach Hotel's central location makes it the perfect base to enjoy whatever activity takes your fancy, Stroll along the pier or the promenade, located just outside the Hotel, or enjoy a relaxing view whilst on the British Airways i360-offering panoramic views of the Sussex downs and countryside, again located just 100 yards from the hotel. Guests can also enjoy a bite to eat in any number of eateries within the city, or hit some of Brighton's many pubs, bars and clubs. 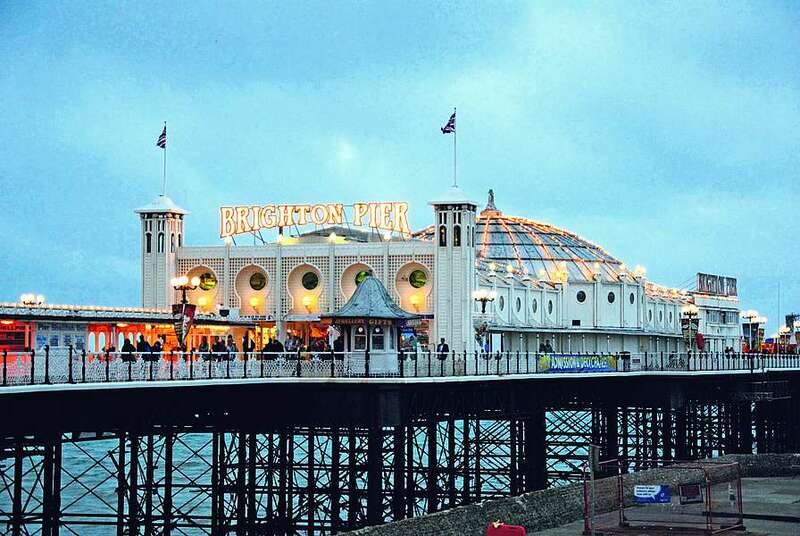 Brighton boasts also about 100 gardens and green areas, including many parks, children's playgrounds and fun-fairs, offering a safe environment for all the family. If you do take a trip to Brighton, be sure to visit The West Beach! The Hotel is named after the West Pier, which is located right in front of the Hotel. For almost 150 years, the West Pier has been Britain's most iconic pier and has been visited by millions of tourists. It was the first building to be listed Grade I (Statutory List of Buildings of Special Architectural or Historic Interest) in Britain before its closure back in 1975. Even after it dramatically burnt down back in 2003, its sculptural remains still cast a desolate beauty over the Brighton coastline and retains its title as one of the most photogenic scenes in Brighton. The West Beach Hotels offers guests the chance to admire this engineering marvel from one of our Seafront rooms situated right opposite the Pier. The Hotel is located directly on the Seafront! Step outside the front of the West Beach hotel and you will discover everything the wonderful Sussex coast has to offer, from sprawling beaches and coastline, to iconic Victorian architecture and workmanship. 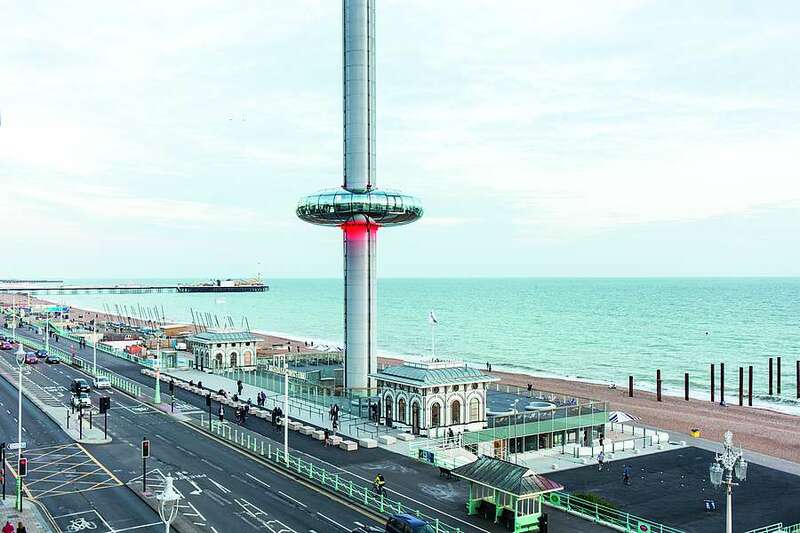 Located just two minutes away- the British Airways i360 is an ever popular attraction for tourists and Brightonians alike, and offers fantastic panoramic views of the vast Sussex countryside. The arches located opposite the West Pier are home to a variety of independent businesses selling unique clothing, furniture and art. As you stroll along the lower waterfront promenade you will pass by many restaurants and shops in the style of a Fisherman's Village consisting of souvenir shops and quirky cafes. At the end of the promenade you will find the iconic Brighton Pier which offers typically British arcades, amusements, and seaside cuisine such as Fish and Chips! Located right in front of the Hotel. Standing at 138 metres, the British Airways panoramic tower is the world's tallest moving observation tower, and is located right outside the West Beach hotel along the sea front. Guests can expect a breathtaking 360° view of the Brighton cityscape and Sussex coutryside. Designed by the team responsible for the London Eye, the i360 British Airways Tower was recently opened in August 2016, and more than 500000 visitors enjoyed Brighton's stunning views during its first year alone. The Brighton Palace Pier is in the heart of Brighton, an iconic Victorian pier now filled with attractions of every kind; arcade machines, rides, games, and all kind of foods and activities. Somtimes Acknowledged as the finest pier ever built, The Brighton Palace Pier offers seaside tradition balanced with the pace and excitement of Brighton today. 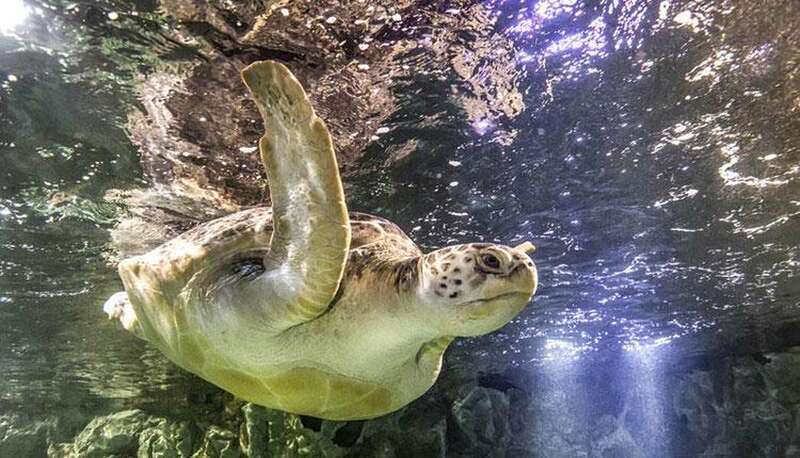 It offers a fantastic day out for the family or friends, and is open year round. 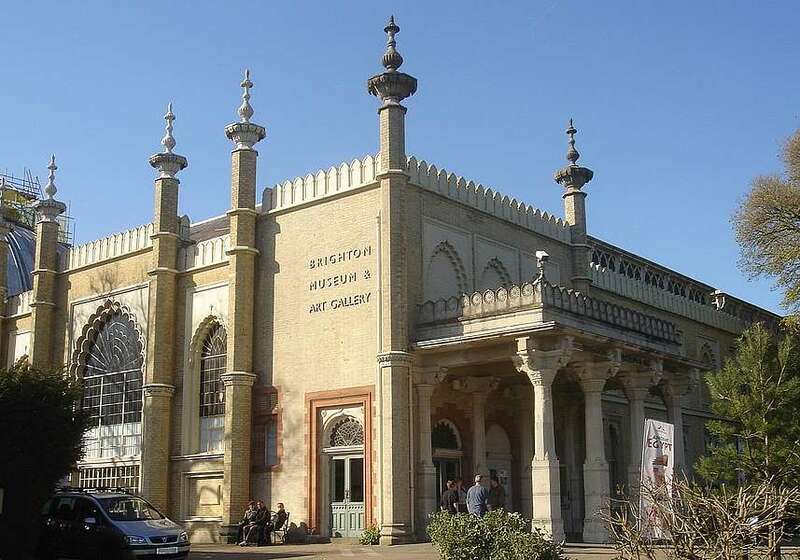 Opening in 1899, it remains a true Architectural icon in Brighton's landscape and had featured in British popular culture for more than 100 years. The Brighton Palace Pier is the most visited tourist attraction outside London, with around 4 million visitors annually, and is just 10 minutes away from the promenade from the West Beach Hotel. Only 5 minutes walk from the Hotel. The Lanes are a collection of narrow streets and alleyways in the centre of Brighton, famous for their small and charming shops and restaurants. 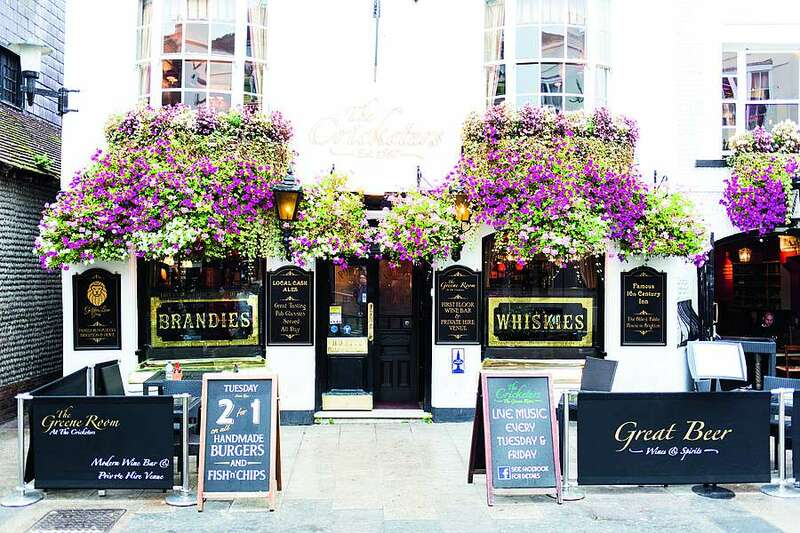 Do not hesitate to get lost in this old, historic, and charming part of the city, where you can even take a ghost walk to discover Brighton's haunted past! Enjoy your time in the Lanes buying delightful chocolate, drinking a delicious British tea or shopping in one of its unique shopping boutiques. Discover Brighton's culture and environment losing yourself in this emblematic part of Brighton. The Royal Pavilion, built by John Nash for the Prince Regent George, Prince of Wales, in the late 1700s, is well-known worldwide for its Indo-Saracenic appearance, poplar throughout India in the 19th Century. The Pavillion was Transformed into a military hospital during the First World War, and was restored after the Second World War. Around 400000 people visit this epochal landmark every year. 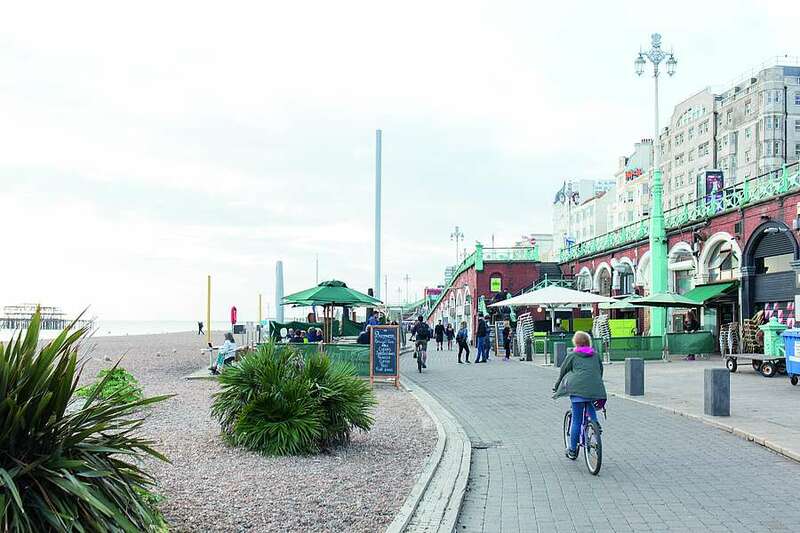 More than 300 years of History can be observed within Brighton, and its transformation from fishing village to fashionable seaside resort is evident within the architecture of the buildings. 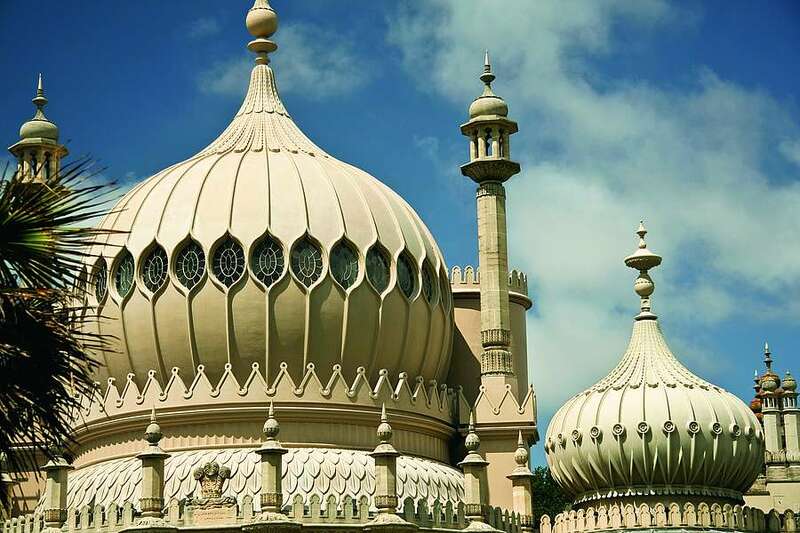 Brighton Pavillion is home to its own museum, and offers visitors the chance to see a former Royal residence and its exquisite furnishings, amazing ceilings, and tranquil surroundings. 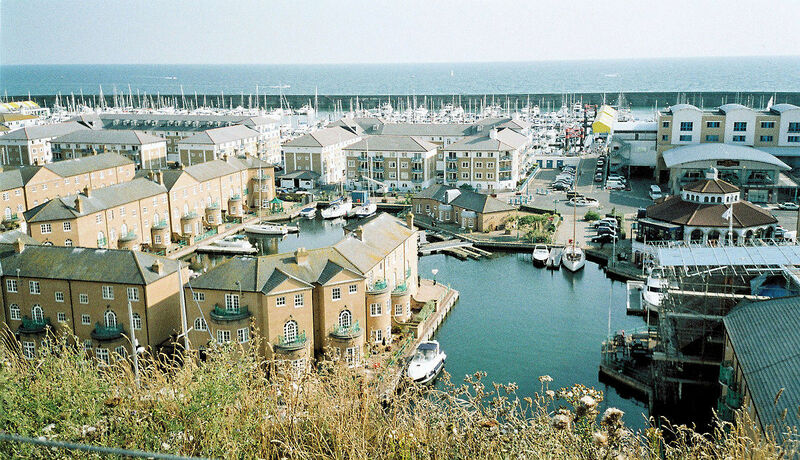 Brighton Marina is one of the biggest in Europe, with over 1500 berths. There are many activities for all to enjoy whilst taking a relaxing stroll around the Marina, including a cinema, casino, and many restaurants and bars for all to enjoy! Boat and fishing trips are also available at the Marina, it also has a weekly car boot sale, perfect for the bargain-hunter, and a wide selection of small festivals. Brighton Marina was built between 1971 and 1979, although improvements have continued ever since. There are different seasonal events at the Marina for all to enjoy on any given day throughout the year. 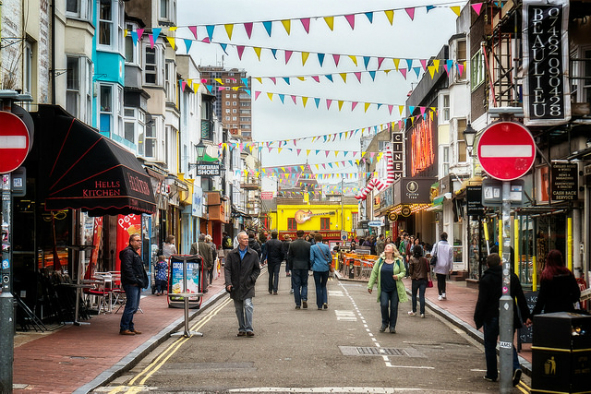 If you like the Camden Town atmosphere, you will love the retro chic of Brighton's North Lanes. The Brighton North Lanes shopping area is a bohemian bustle of criss-cross streets in the heart of the cultural quarter of the city. Shopping in the Lanes is a real mix of quirky and trendy shops and offers visitors a unique shopping experience. You will find a large selection of unique shops, music stores, flea market shops, book shops, stylish photography studios and original tea shops. Enjoy over 400 independent shops, cafés and entertainment venues. You will find also a modern new library and a public square available to the public since 2005. If you are thinking of visiting Brighton, you cannot miss the opportunity to visit this charming landmark. Just next door the Brighton Pier, there is the Brighton Sea Life Center which is the oldest aquarium in the UK. The building is a fantastic piece of Victorian architecture with a deep history and mind-blowing selection of fish and sea creatures. This ranks first among all the things to do in Brighton with kids. Have a lovely day with your family surrounded by amazing animals! Brighton boasts one of the best arts scenes in the country, with dozens of locally run art galleries. There's a huge variety of art in Brighton, from the most exotic pre-Raphaelite to the bizarre and post-modern.